Near the turn of the twentieth century, fiery Marta Schneider leaves Switzerland for a better life, determined to fulfill her mother's hope. Her formative journey takes her through Europe and eventually to Canada, where she meets handsome Niclas Waltert. But nothing has prepared her for the sacrifices she must make for marriage and motherhood as she travels to the Canadian wilderness and then to the dusty Central Valley of California to raise her family. Marta's hope is to give her children a better life, but experience has taught her that only the strong survive. Her tough love is often misunderstood, especially by her oldest daughter, Hildemara Rose, who craves her mother's acceptance. Amid the drama of World War II, Hildie falls in love and begins a family of her own. But unexpected and tragic events force mother and daughter to face their own shortcomings and the ever-widening chasm that threatens to separate them forever. 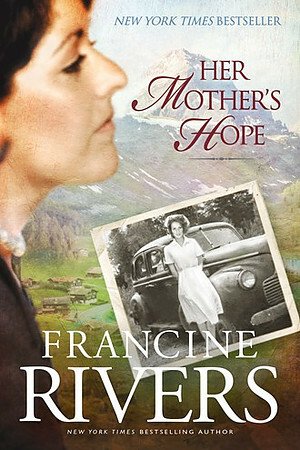 Her Mothers Hope by Francine Rivers was published by Christian Large Print in February 2011 and is our 34042nd best seller. The ISBN for Her Mothers Hope is 9781594153426. Be the first to review Her Mothers Hope! Got a question? No problem! Just click here to ask us about Her Mothers Hope.